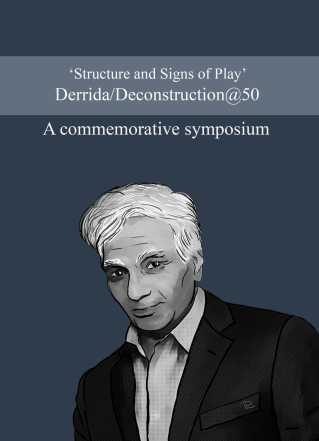 Presented at an international symposium at The Johns Hopkins Center, Baltimore, USA, on 18th – 21stOctober 1966, Jacques Derrida's 'Structure, Sign, and Play in the Discourse of the Human Sciences and Discussion' is generally understood to have had a path-breaking impact. The influence of Derrida and Deconstruction has been felt in anthropology and other social sciences, gender studies, law, architecture. 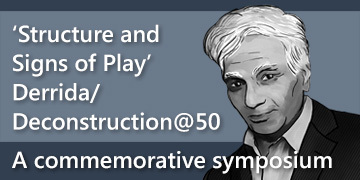 A symposium commemorating the 50th anniversary of the 'event' in Baltimore was organised by the Department of English at the University of Hyderabad in November 2016. A selection of papers at the symposium are presented in this volume of eSSays. Guest Editor: Pramod K Nayar.